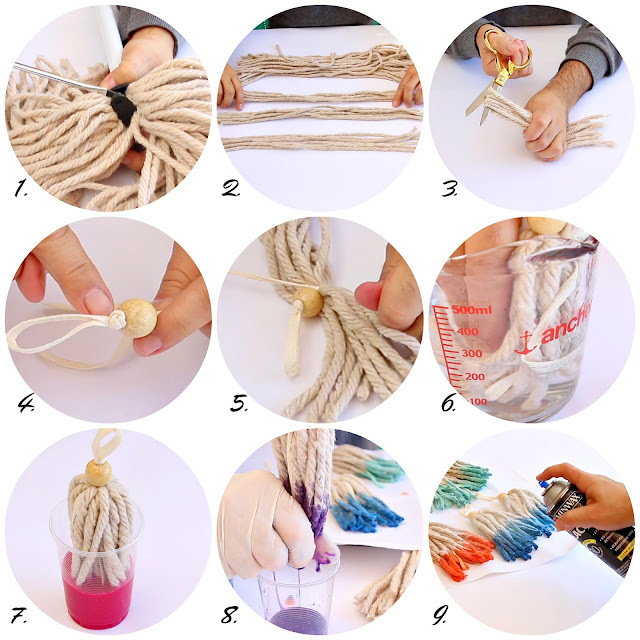 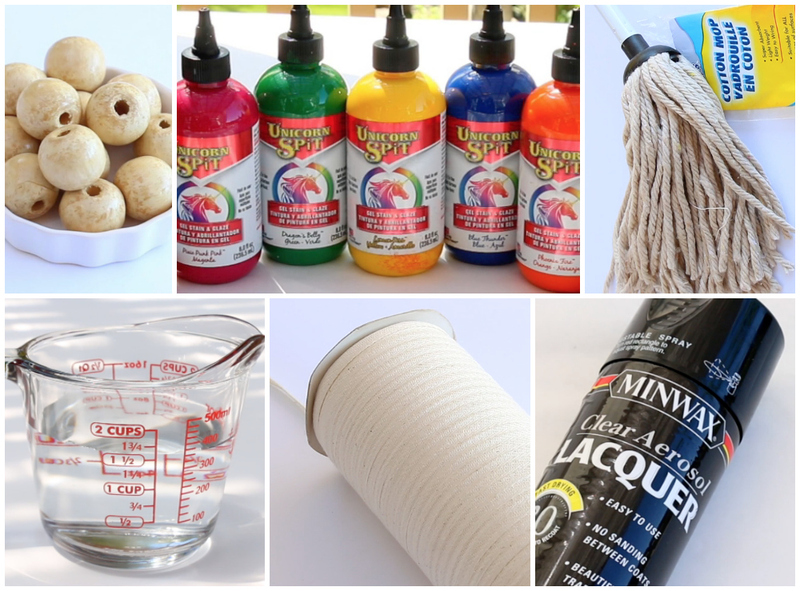 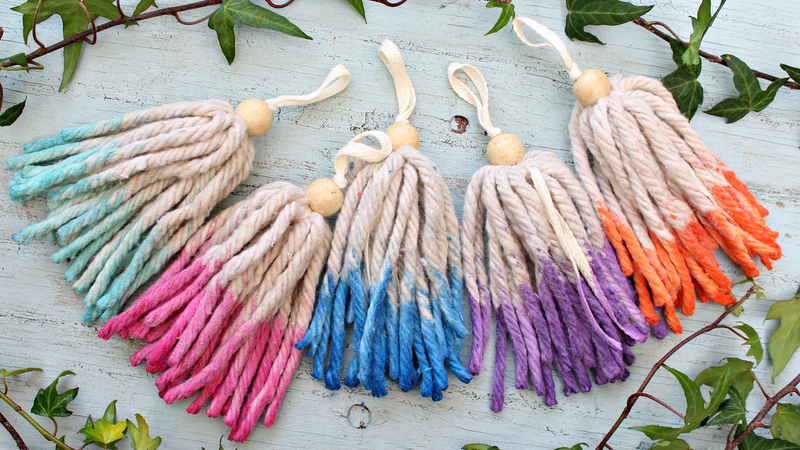 Hit the dollar store for some cotton mops and make these lovely boho, dip dyed tassels to hang everywhere this spring! 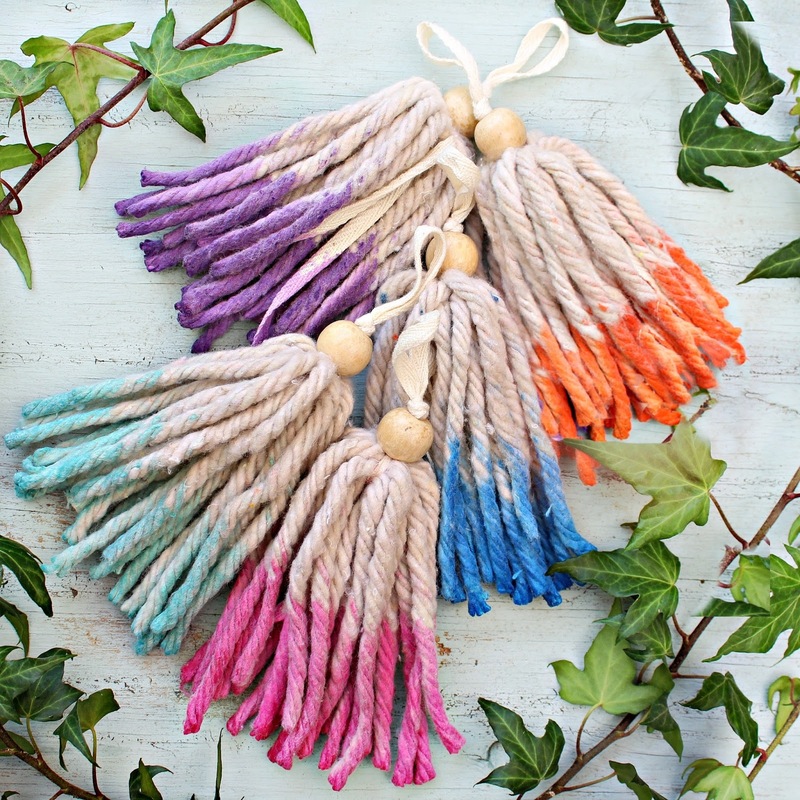 Drape them around the patio with some twinkling lights or hang them from every doorknob in the house! 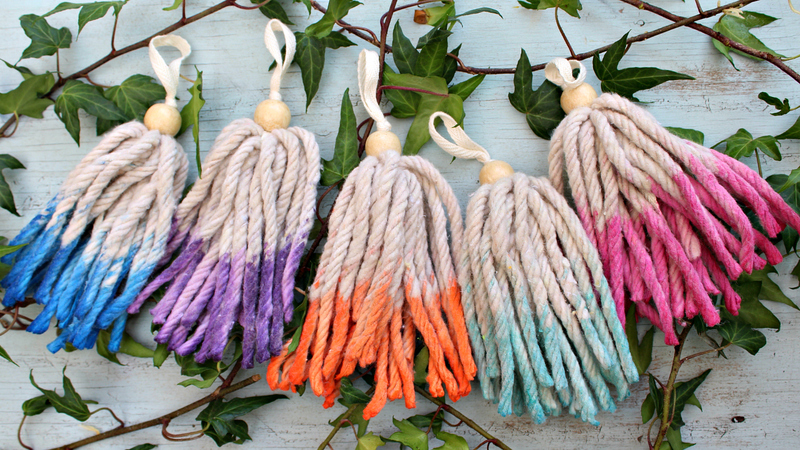 These tassels are like colorful jewelry for your home and we all know that accessories can make all the difference. Remember that small things can make a big difference.... and don't forget to Make Your Mark! 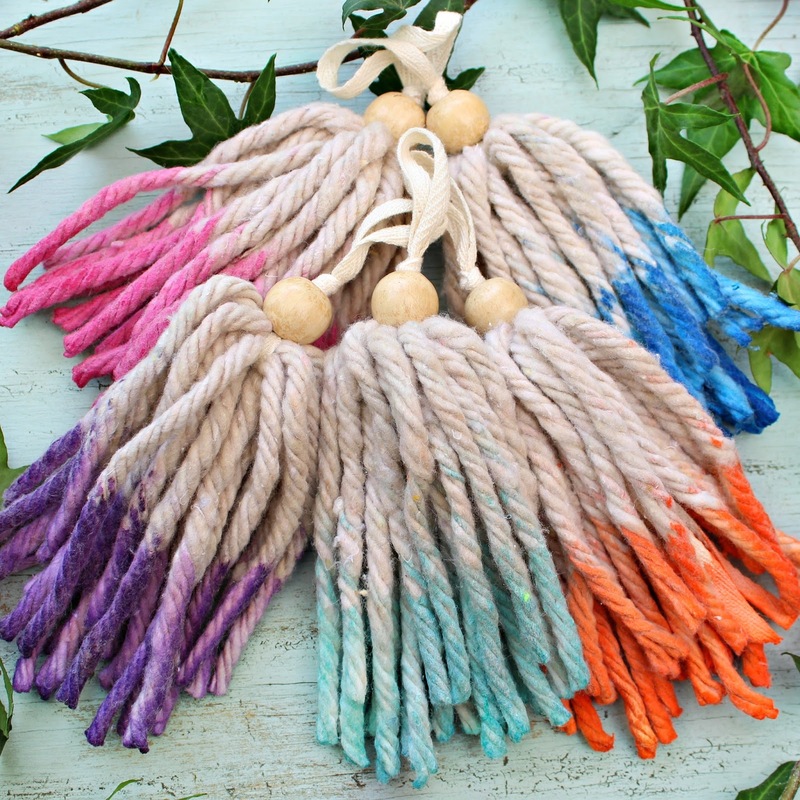 I can't wait to start hanging these!